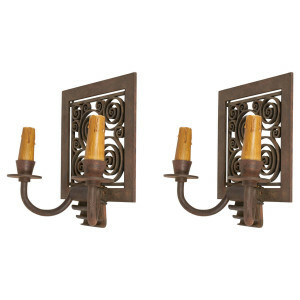 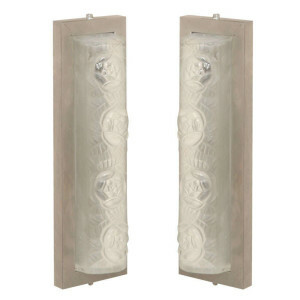 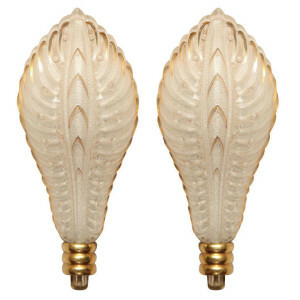 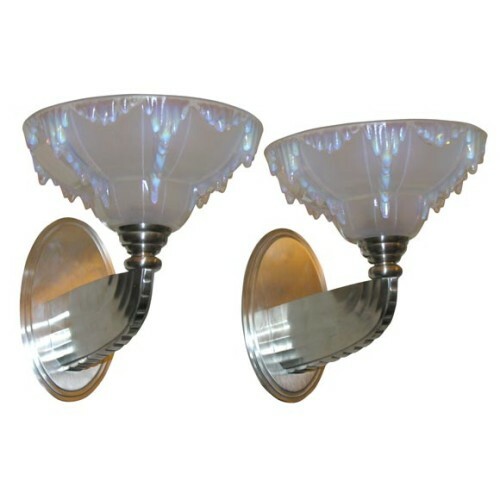 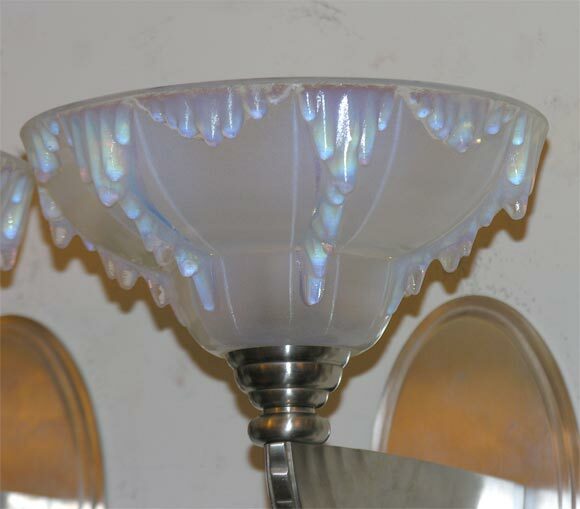 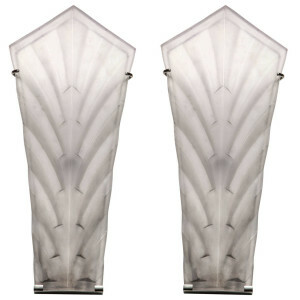 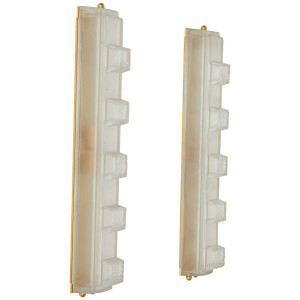 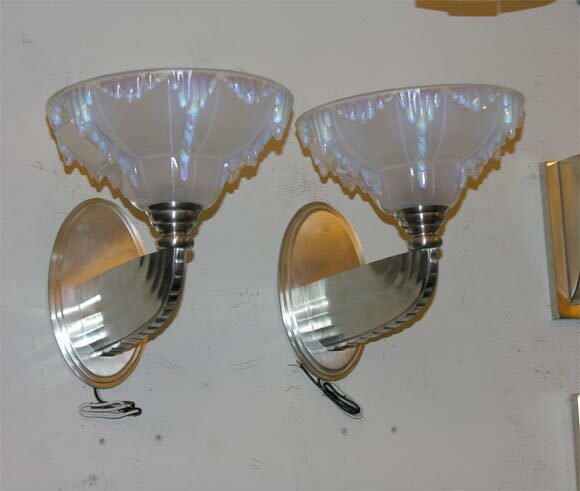 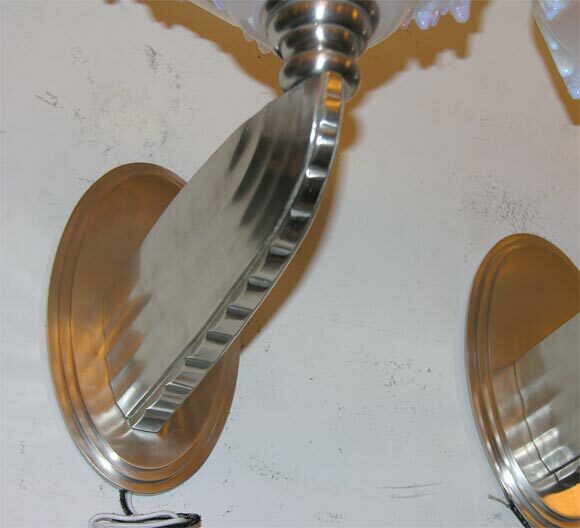 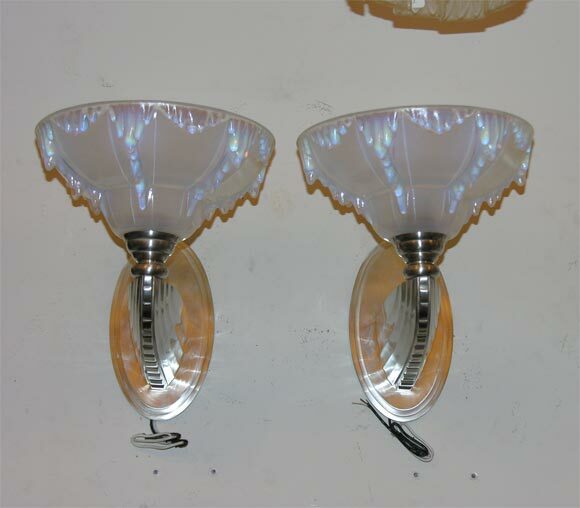 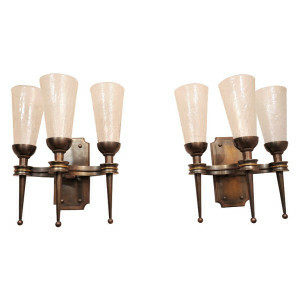 Satin nickel plated bronze sconces with opalescent glass shades. 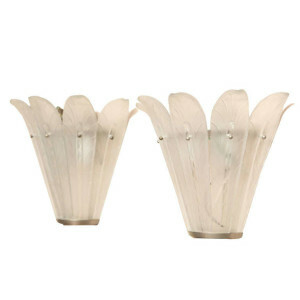 Shades signed Ezan, France. 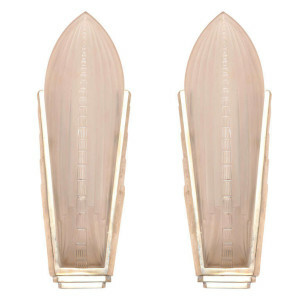 Two pairs available.